If you have a big block of spare time, do not waste it in a single boring activity. Why don’t you use that time for having fun, relaxing with your beloved, family and friends? 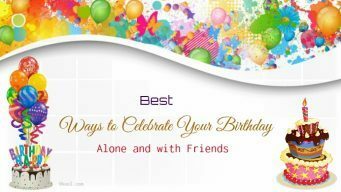 In this writing, I would like to recommend 28 practical things to do in spare time. If you want to improve the quality of your free time, do not miss out the following tips. List Of Cool Things To Do In Spare Time – Top 28 Tips Revealed! If you are an office staff and you have to work and sit in a single place all day, you can do some exercises to get active. If you don’t have much time to hit the gym or health center, you can walk some minutes or do some simple home exercises to boost energy and get relaxed. Besides, try to keep your mind alert by thinking positively. You can spend your free time travelling towns or countryside or you can join various activities with local residents. You can walk or drive to discover new lands, take awesome pictures, visit shops, eat in restaurants and so on! Sounds interesting? If you live in a big city, you should not miss out the free events at art galleries, museums, quarters in big holidays. You can search for the time and the place of these events and join some with your friends. Also, buy some snacks and do not forget to bring your camera to capture great photos. Playing games can help you get relaxed completely. You will focus on the game tasks and stop thinking about work load through your day. There are different games for you to play. You can play offline game without reacting to other gamers while online games attract more people to play. Just play some simple games that won’t made your eyes be strained. It’s easy for you to create a new social account or join a social site. If you love chatting, search for some sites on Google. If you want to meet new people, simply visit meeting sites to make new friends all over the world with ease. If you need to learn a foreign language, take part in some language sites. There are various options for you to select. Actually, social network helps us do great things. It’s just the way we manage your time and plan your schedule. 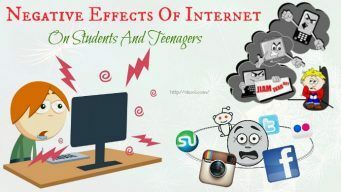 Therefore, be a smart one to utilize the power of social networking and have productive activities in your free time. Instead of joining social activities, travelling, playing games you can seek a part-time job to earn extra money. Why not? There are different ways to do a part-time job. Depending on your strength and your situation, you can find a suitable job to work like a waiter, a tutor. There are various fields of knowledge to learn. What is your favorite topic you want to get started? Do you love cooking and want to take part in a cooking class? Do you love dancing? Why don’t you join a dancing course right now? Do you love gym exercises? Take action to enhance your fitness. If you are pregnant, you have a lot of spare time, you can join a childbirth class and widen your knowledge of pregnancy health, birth giving and baby care. Are you interested in TV shows? Why don’t you keep watching a long film and going to sleep after the film ends. Actually, this is also a good way to form your sleeping time. Why don’t you try this hobby to go to bed at the right time each night? Many people have book reading hobby. And there are interesting ways to enjoy this hobby. If you are a bookworm, you definitely know tricks to read different books in bookstore freely. In modern life, you can form your new reading style that’s e-book reading. With this new technique, you can read your favorite novels, learning book in different transportable devices such as laptop, iPhone, iPad. You also create a library card and find new books there. If you love coffee, book-coffee shop is an ideal option for you. Just vary the way you enjoy the books! Don’t be lazy on your bed because this is not a good way to utilize your free time. Why don’t you warm up your body by washing clothes with bare hands, cleaning the floor, the toilet, cleaning your garden and make your own space become clear and fresh. When you are free, your mind is relaxed, your mood is good, and it is a good time to set your personal goals and milestones. Your plan helps you go on track. When you are busy, you will know exactly your routine and the target you are reaching. You don’t need to cease and make a question what will go on, where are you now. So, setting a goal is actually a map for you to go in the right way. If you have leisure time, do not forget to check out all your received email. Arrange important messages to store and delete all the unnecessary ones. The time to do this task depends on how many messages you have in your inbox, how may sent items and junks you have. The more messages you have, the longer you have to clean up your mails. So, do these tasks often. It just takes some minutes to complete mail cleaning. You can call up your old friends to ask about their lives. They will be happy for your care and both you and your buddies will have a great time to relax, get more news, have new plans, and remake your relationship. If you are a busy person, you have many things to do all day, you should remind yourself to do the most important tasks first. You can set these tasks on your cell phone, note page. Actually, this is a one of the simplest things to do in spare time. You just spend some minutes doing it. For example, you have some telephone or electricity bills to pay each month, note exactly what date to pay for certain ones. There are a variety of things to do in spare time to expend comfort zone. They are small tips but you maybe cannot remember to do. Simply, you can write down the things you are thinking about in your mind; up to date with your social network statuses; chat with your friends, cook a new recipe, learn drawing, or sleep early if you are tired. If you are a millionaire of time, why don’t you think about volunteering in some months? This is a social activity which brings a lot of benefits for your community. Volunteer helps you be responsible for society. You will realize many values that help your community improve poverty, increase awareness of environmental pollution, decrease social evils and much more! Just try to experience various volunteer activities. You just spend your energy doing it. Moreover, you will be more active and be appreciated. Why don’t you change your lifestyle a little bit to make you be more attractive? You can go to the hair salon to change your hair style and care for your hair health. You can ask your friend about your fashion style and how to change it and make it become suitable with your personality. Just with some attentions for your lifestyle, you will become more beautiful. They are good things to do in spare time, right? For people who love pets, they can spend more time caring for their pets as the way to enjoy their free time. If you have some pets, you can go to pet shops, buy them some foods, select some pet clothes or bring them to pet health center. If the pets stay healthy, this is actually a happiness of the pet owners. If you are able to build a pet shelter, why don’t you spend some hours building a house for your pet? Besides, you also walk with your pet around your living area and have your pets had a bath. Are there good ideas for you to follow? Just sit quietly for a half of the hour, breathe gradually and naturally. Do not think about anything. You can listen to music while meditating. Actually, mediation is a scientifically proven method to get relaxed. You can utilize your leisure time to rebalance your mind in this way. Besides, you can visit a church or temple to listen to religious lessons, create your own belief to live a better life. This is another way to mediate which you can try. After a long day or stressful working time, you can take a nap to get relaxed and forget all things happen through the day. You just need a sofa, a cup of tea, a book and they lead you to the dreamland just in minutes. Go shopping, even if you are not planning to buy essential things for this month, still go shopping to know how many new products released. Actually, the environment in shops makes you feel relaxed. The colors, the deals, the conversations, the selections make you feel happy and close to people. Imagine that if you have a free time and you just sit in your dark silent room all day, you will not a normal person, except for your personality. If you have free time, take this time to visit your relatives and friends. This is a good way to make people closer to people. Especially, in big holidays of a year, visiting relatives and friends help you achieve a balanced life after a long working year. 23. Learn A New Craft Do you love crafts? Why don’t you spend your spare time making your DIY handcraft for yourself or give someone as a gift? It’s actually a cool way to enjoy your life and make it become more significant. Simply, buy a book that teaches you to make some handcraft works at home or search for detailed video tutorials with step-by-step illustration and guides for each type of craft such as pictures, house items, gift boxes and gifts, and so on. If you have a lot of time, you can apply a handcraft class to learn how to make a specific handcraft professionally from teachers and make more friends there, too. Sounds good, right? 24. Update Finances You may fall behind with your finances in paying bills or entering transactions in your financial software or clearing your checkbook or reviewing your budget. So, take some minutes to update all these things. It only takes you about 10 to15 minutes to finish. 25. Be Early Though you have a lot of time, but make it become significant time. Get up early to do more cool things, or simply you will have more preparation to be ready for a meeting or an important event. If you have no special things to do in the morning, I would like to suggest you to start a new good happy that taking a shower early. Showering can help you feel refreshed, relaxed to start a new day. Besides, you can do other healthy activities such as exercising, walking or biking as I mentioned above. Moreover, being early also helps you empower your brain and boost your memory in a long system. 26. Drink Some Water Have nothing to do, drink some water that will instantly eliminate feelings of your tiredness and refresh you. Don’t sleep through the day and forget drinking water. This can boost your metabolism and make you to do something to stay motivated, detox your body and improve your overall health, too. Read on: Benefits Of Drinking Water 27. Educate Yourself There are different ways for you get larger knowledge. For instance, you can go to the library to look up for many interesting books and magazines. You can go to book stores to buy a new book. If you want to discover a myth, search for it on Internet. If you are talking to your friends, ask them what they are expert on, and a lot of other ways to educated yourself. Let your passion of learning new things guide you to improve your knowledge. 28. Make Friends Online Next to the list of cool things to do in spare time, you can things to more interesting and relaxing things such as making friends online. There is a variety of meeting sites and dating site for you to join and make more friends there. They may be foreigners and you can discover new different customs, cultures and have new perspectives that change your thoughts and point of view. For something good, you can learn from them. In addition, you can introduce your culture and beauty of your country to your friends. I’ve introduced the complete list of cool things to do in spare time, including 28 tips. They are ideal activities for you to improve your health, raise your spirit and help you balance your life. Try following some of those tips you like and put the chunks of your spare time to their productive use! Share the article if you find it useful! For any feedback and comment, I warmly welcome you to drop some at the end of this post!